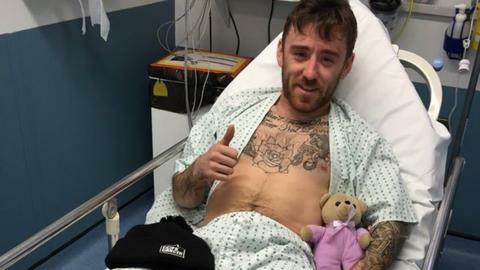 Fermanagh rider Lee Johnston looks set to be fit for next month's North West 200 after suffering minor injuries in a crash at Oliver's Mount in Scarborough. Johnston suffered bruising to his pelvis and leg in the accident during the feature race on Sunday, and also sustained "a few pulled muscles". Johnston was discharged from hospital on Sunday night but returned on Monday morning for a check-up. The 27-year-old has won three races at the North West in the last two years. Johnston raced to a Supertwins double at the NW200 in 2014 before securing a Superstock win in 2015.